Yelena and Chris are an adventurous duo. They met while rock climbing in Mexico and got engaged while bouldering in Georgia! They wanted to celebrate their love for the outdoors at their wedding, and were lucky enough to wed outside on Chris’ parent’s property in VA! 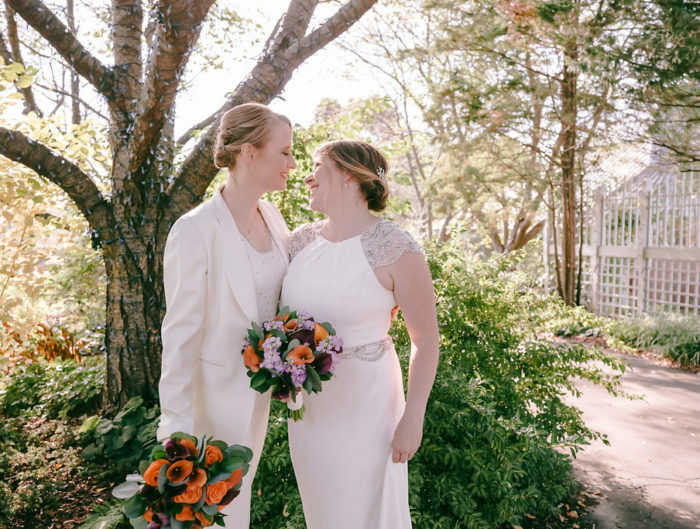 They may not have been climbing rocks as they said “I do,” but they were surrounded by family, friends and beautiful fall hues instead. 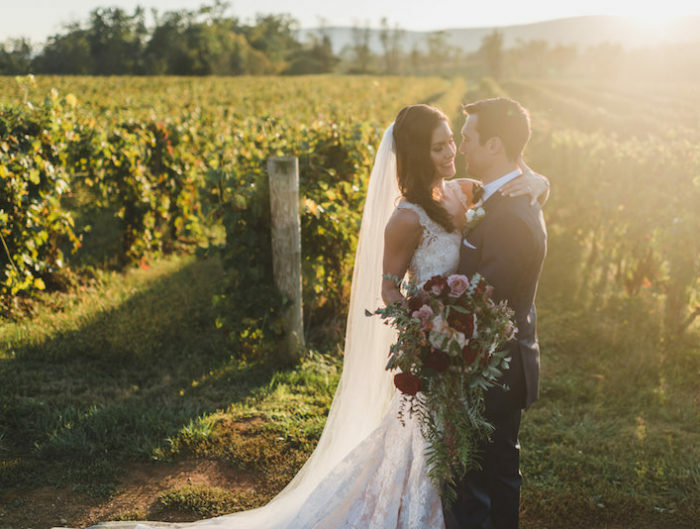 Take a peak into part on of this picturesque October Virginia wedding day from Rob Garland Photographers, and head right back here for their reception in a bit! From Yelena: Our vision was to have an outdoor wedding that was relaxed and enjoyable for all our family and friends of all ages. We were very lucky to have family members who played music for the processional and recessional and who sang during our ceremony. It was so special to have people we knew take on these roles. I was told after the ceremony that a grasshopper had hitched a ride on the train of my dress as I walked through the field with my parents and down the aisle! 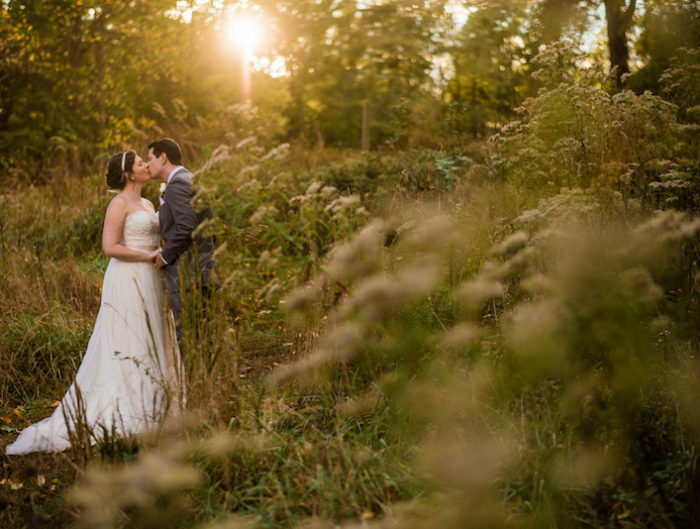 United With Love: Outdoor Fall Ceremony Feature!